This home in Mission Hills, KS. looks amazing at night! 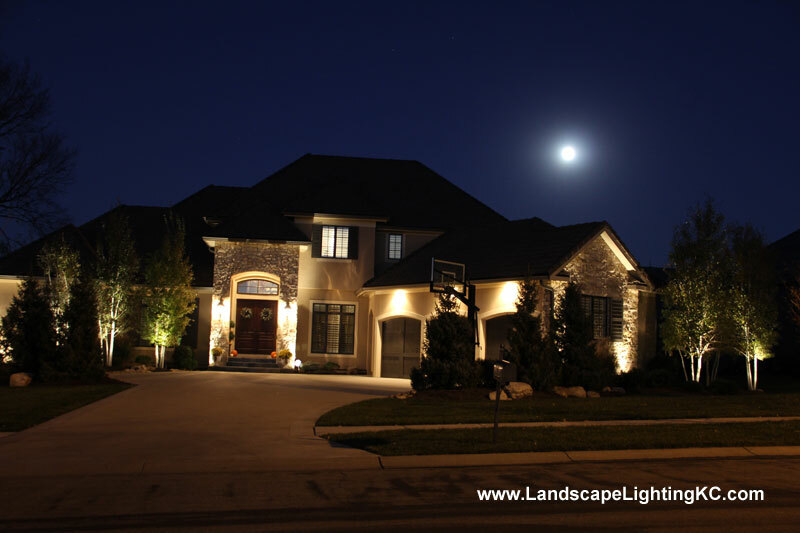 This nice Overland Park home was in the dark until we arrived. 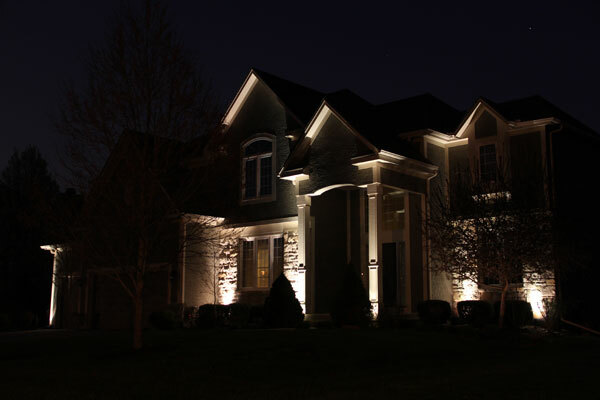 The trees, pillars, and stonework on the garage look fantastic at night now. A dramatic change. 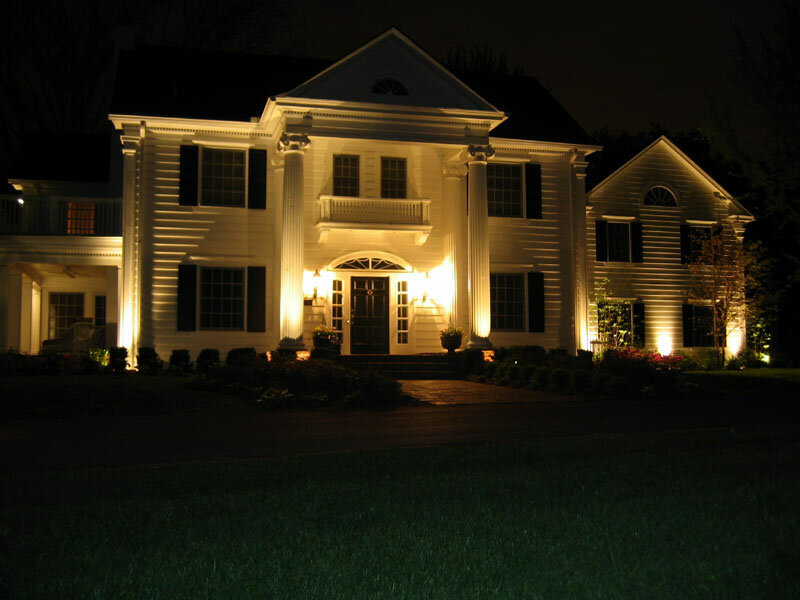 We have been installing and maintaining landscape lighting systems in Kansas City, Overland Park, Leawood, Olathe, Prairie Village, Lenexa, Shawnee and all the surrounding cities for the last 10 years. Our quality is outstanding. Our service is second to none. 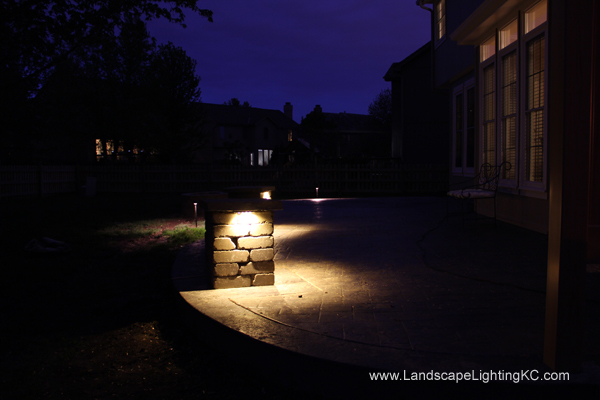 If you need landscape lighting here in KC, give us a call!